Your i800 Series Kodak Scanner will NOT work with Windows 10. Want to complete demanding production schedules faster and more accurately than ever before? All while lowering your total cost of ownership? Kodak has added iThresholding, a feature that automatically adjusts bitonal brightness and contrast for scanned documents, to its i800 Series Scanners. An enhancement to Kodak's Perfect Page Scanning, iThresholding is an on-board solution for bitonal applications that reduces the need for presorting, rescans and post-image processing by automatically adjusting for highlighting, low contrast and lightweight paper — situations that previously required manual adjustments. A further enhancement to the i800 Series is a new Brightness and Contrast Control feature that allows customers to choose the best color output for the application. Customers can use the default color tables provided, or create and save an infinite number of customized tables. Better information clarity and less pre-sorting due to simultaneous bitonal and color scanning. Fast, smooth document feeding and virtually no work stoppage with Sure Path legacy paper handling. Outstanding image quality, bitonal or color, from Kodak’s exclusive Perfect Page Scanning. Great OCR/ICR read rates with electronic color dropout. What’s more, bundled ISIS and TWAIN drivers make system integration trouble-free. 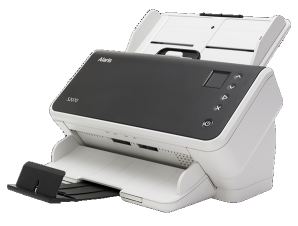 And you get this benefit-rich scanner with all the speed, reliability and ease of operation you expect from Kodak. Kodak’s Sure Path Paper Handling delivers fast, streamlined, jam-free document feeding. Now, it includes the Quickset Elevator, with a generous 1,000-sheet capacity, fast recycle time and auto-reset mechanism that returns the paper elevator directly to batch position. Just load a batch and go! It also includes 3-D multi-feed detection. Our most reliable detection system ever, it uses ultrasonic technology—so it’s not fooled by adhesive labels or varying paper thickness, and requires no operator calibration. 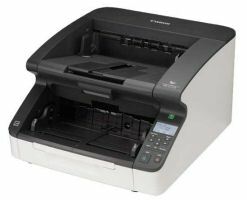 These scanners offer color options that let you capture important details like colored stamps, highlights, signatures and more. Kodak’s new proprietary Tricolor Plus CCD sensor, exclusive to our new high-speed scanners, enables bitonal or color scanning at high resolution and high speed. 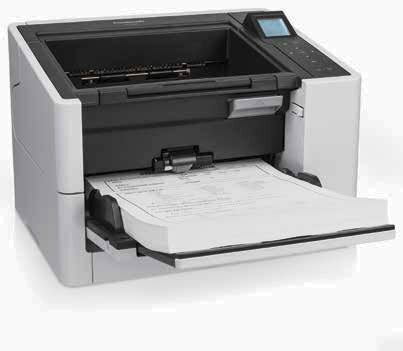 With on-board Perfect Page Scanning, you’ll scan bitonal and color documents right the first time. And Electronic Color Dropout lets you remove irrelevant background color without stopping to change lamps. The result? Clean, sharp detail and better OCR/ICR read rates. EXCEPTIONAL PRODUCTIVITY FOR MORE KINDS OF DOCUMENTS. Now, applications with photographs, technical drawings and high exception costs are easily handled. A document with both text and photos can be output as bitonal, color—or both—in a single pass. New Zone Processing helps conserve your storage space. The smaller zone image also “remembers” where on the document it came from—for easy retrieval later. Ideal for pass-ports, insurance claims and more, all page elements will look their best. MAXIMUM UPTIME! Find out more about the new benchmark in high-speed scanning. And, of course, it’s all backed by Kodak’s renowned Service & Support organization to protect your investment and keep you running.